Smash blueberries in a medium sized mixing bowl. 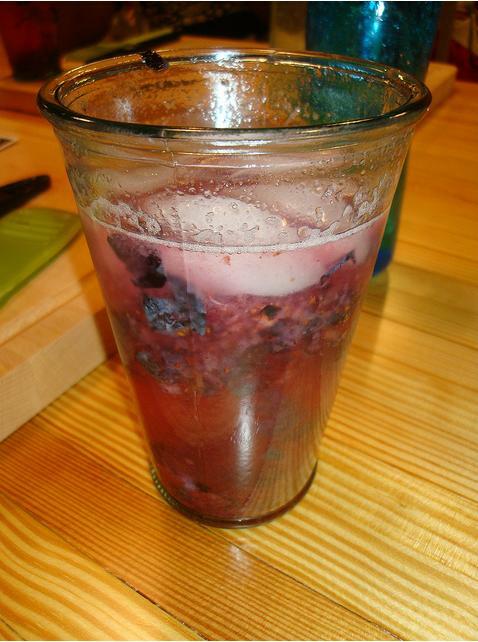 In a pitcher, add seltzer, lime simple syrup and smashed blueberries. Pour rickey over ice and blueberries and garnish with fresh mint.